Posted on September 2, 2012, in Silent Sunday and tagged I got this shot! 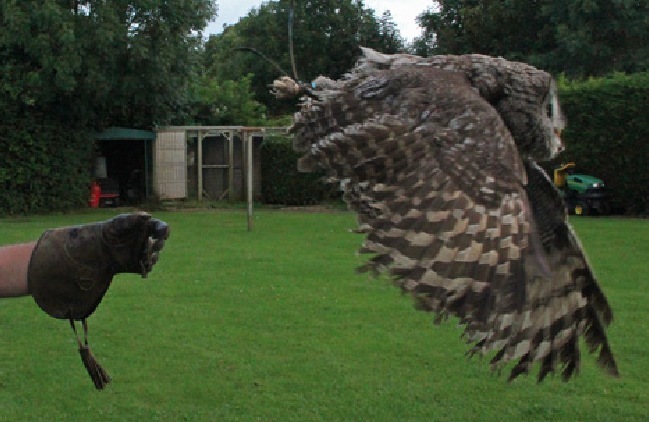 !, In Flight, Owl, Owl Handling. Bookmark the permalink. 2 Comments. Thanks. I was using the incredible camera of the guy whose hand it is. He got some fan shots he kindly shared. Thought if only managed to get the owl’s bum but got him all.